The onset was sudden and hit me like a truck. I felt very ill and feverish. All I could think about was getting home and lying down. Walking dazed into my house, I grabbed the thermometer and flopped down on the couch, 39.4 degrees Celsius (103 F)–yikes. I wondered if the pain in my breast could be related to my fever. My inner mom strength surfaced and I managed to breastfeed my daughter and get to the doctor’s. An hour later I was filling a prescription for antibiotics and this whole thing was a mystery to me. I had mastitis. Who knew this could make a woman feel so miserable! At this moment I felt overwhelmed, yet thankful it was the weekend and my partner was home to help me. Mastitis is an inflammation of the breast, usually caused by infection. It can happen to any woman, but those breastfeeding are more likely to experience it in the first few months of feeding. 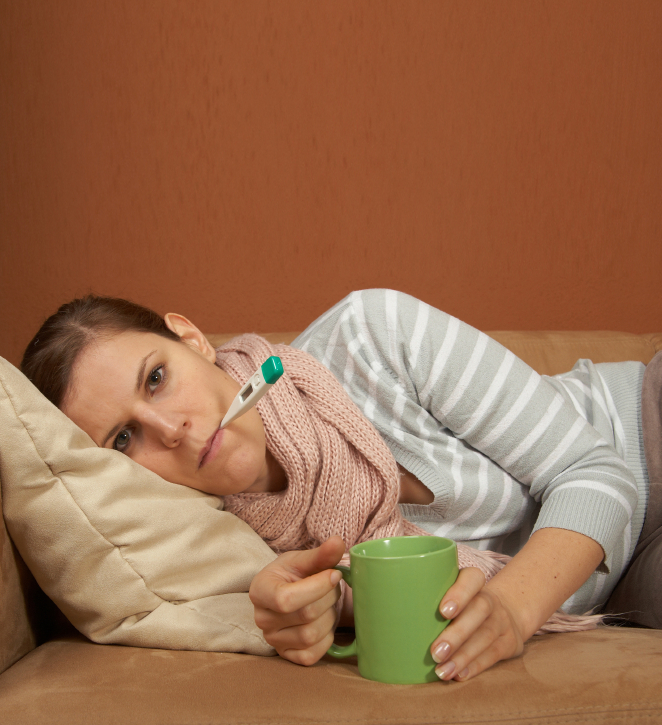 Symptoms usually include: fever, feeling unwell with “flu-like” symptoms and breast pain. Breastfeed your baby regularly and apply warmth to the breasts to encourage milk flow. If you are unable to feed your baby due to pain, express milk and cup feed. Apply warm wet cloths to breasts, massage and empty breasts. Cool packs/Hot packs can be applied for pain relief. Ask for help, get rest and drink lots of fluids. See your health care provider, if frequent feeding does not improve symptoms in 24 hours. Ask your health care provider about taking any pain relief medications. If you are having troubles feeding your baby get help from a professional. After a few days of rest, regular feeds and medication I was feeling much better! It was really rough having these nasty symptoms while being a new mom. If this does happen to you, be sure to get help and look after yourself because if you ignore the symptoms your condition can quickly get worse. Here’s the good news, the mastitis didn’t prevent me from continuing to breastfeed my baby and I was able to breastfeed comfortably long after this experience and so can you! *Special thanks goes to my colleague, who shared her story with me. Have you experienced mastitis? What helped you? This entry was posted in Babies, Breastfeeding Your Baby, Breastfeeding Your Child, Parenting, Pregnancy, Toddlers & Preschoolers and tagged breast infection, breastfeeding and fever, breastfeeding challenges, grandparents, help for mastitis, matitis, plugged ducts, red swollen breasts. Bookmark the permalink. Thanks, Carolyn, for highlighting this (unfortunately) common experience. I recomment that any breastfeeding mom who runs a fever gets herself checked out! It is possible to keep breastfeeding a baby when you are sick and taking medication. I kept breastfeeding despite surgery after my son was born!